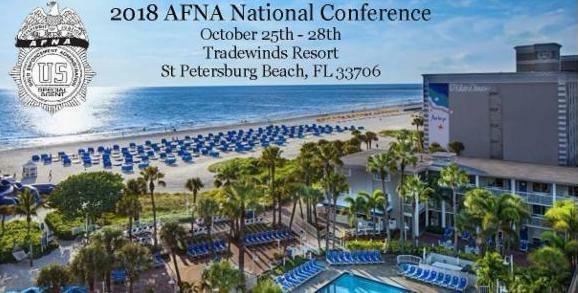 If you have never attended an AFNA Conference, plan now to come this year to St. Petersburg. Florida. We have a beautiful hotel with great rates and you and your spouse/guest will have a great time! Guaranteed! Best of all is getting together with active and retired DEA personnel and just having a good time and lots of laughs. Meet old friends and make new ones! See you there! Ernie. Want to go, but Hotel registration seems complicated. We used to just click on AFNA site. Do we have a code to let them know our conference. Special rates? When is the deadline to make the lodging reservation? Is there contact info to register? Or do we just contact the Hotel? I can’t find the link to attend? I made reservations on the hotel web-site, but I’m sure there’s some link for us AFFNA Members?